All Prayer and Meditation sessions are by donation. We suggest a donation of £5 per session, which goes towards the running costs of Samye Dzong for the benefit of all. Weekly courses are charged at a nominal rate thanks to our teachers, who kindly volunteer their time and skills as a donation to Samye Dzong. 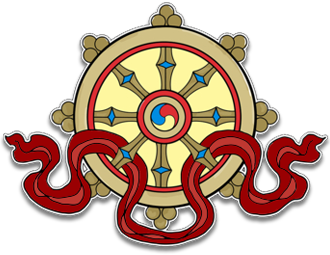 For special events and teachings, please see our Courses and Events page. Details of the Spring / Summer 2019 programme can be found by following the links below (see our events calendar for full details of weekly classes). Mindfulness meditation to develop inner peace and awareness in a supportive group space. Take time out to de-stress, relax and recharge. The practice of Chenrezi, to cultivate loving kindness and compassion for all beings. Healing and energizing Qigong exercises and meditations for physical and mental health. Suitable for all. Qigong exercise & Meditation with Ani Rinchen. Refresh, energise & balance body and mind. Suitable for all. Contact Rachel Simcock for information, rachelsimcock@live.co.uk. Green Tara practice, to transform fears and negativity into loving kindness, strength and joy. Please check the events calendar for exact dates that weekly classes are running. Prayer and meditation sessions are by donation. Please give generously to support the work of Samye Dzong Edinburgh for the benefit of all. Thank You.